• Refreshments:	Okehampton, Sourton, Lake, Bridestowe, Lydford. • Public toilets:	Okehampton, Meldon Reservoir, Lydford. Side-trip to Okehampton Castle. Keep ahead at the end of St James Street to pass the post office and follow Castle Road for 800m to reach the castle (English Heritage). Return the same way. Take time to visit the impressive ruins of Okehampton Castle, now in the hands of English Heritage. Set at a crossing point on the West Okement the castle was built from soon after the Norman Conquest, though much of what remains today dates from the 13th and 15th centuries. For a long period it was home to the Courtenay family, one-time Earls of Devon. (and excellent Bullied Buffet). Turn right before the railway, following signs for the Dartmoor Way (Sustrans Route 27), soon turning left onto the made cycle track which initially runs alongside the railway line. crossing 46m-/150ft-high Meldon Viaduct - built in 1874 when the line was extended to Lydford - below the dam of Meldon Reservoir. 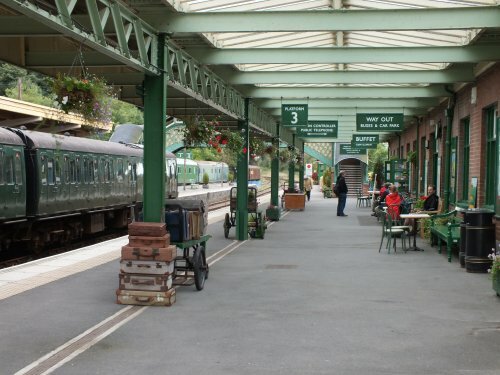 Sadly at the time of writing the lovely Meldon Buffet by the viaduct is closed. 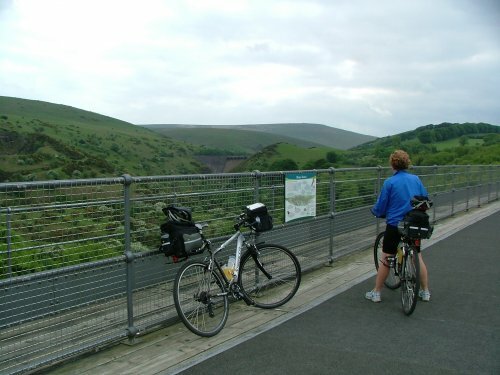 and continues across the viaduct (take care in high winds), with glorious views towards the dam of Meldon Reservoir and Dartmoor`s highest tors - Yes Tor (619m) and High Willhays (621m) - beyond. 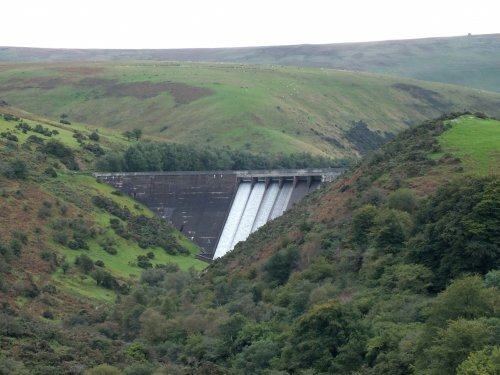 Side-trip to Meldon Reservoir. Turn left off the cycle track where signed just past the west end of the viaduct; meet a lane and cross over, soon dropping to the reservoir and car park. Return the same way. through a long cutting on the edge of Prewley Moor, views open up towards the Sourton Tors (formed of basalt, not granite). Cross the access lane to Prewley Works and pass the Church of St Thomas a Becket at Sourton. Continue through a short gated section to reach lofty Lake Viaduct (1874). Just after the viaduct turn left off the track (dismount) and follow the path down to meet the A396 (Bearslake Inn left). Cross the A396 with care; cycle up the narrow lane ahead to a T-junction, and turn left for 1.25km/0.75 mile along appropriately named Pig`s Leg Lane, eventually descending into the centre of Bridestowe. At the T-junction opposite St Bridget`s Church turn left to pass the Riverside Stores and 17th-century White Hart Inn. Cycle steeply uphill and continue along this beautiful wide and undulating road, often between lofty beech trees, for 2.4km/1.5 miles to pass old Bridestowe Station. For the Fox & Hounds Hotel keep ahead to 500m to meet the A368 at Fox & Hounds Cross; cross with care. Return the same way. Cross the railway bridge and turn immediately right to rejoin the railway line cycle track, which ends at Lydford. Lydford is one of the area`s most historically fascinating villages. There was a mint here in the 10th/11th centuries, and the tower seen by the Castle Inn was constructed around 1087 as a jail and courtroom when Lydford was the administrative centre of the ancient Forest of Dartmoor, with jurisdiction over the stannary districts of Devon. The village sits at the western end of the Lych Way, along which bodies were carried from as far away as Postbridge for burial in consecrated ground prior to AD1260.